In 2017, Le Cercle de l’Harmonie chose to focus its activities on children between four and nine, the age when music is perceived as a universal phenomenon, accepted without prejudices, without social categorisation, without preconditioned tastes. Le Cercle de l’Harmonie works with the Association Aurore, whose centres assume responsibility and provide accommodation for the families or the single mothers of these children. 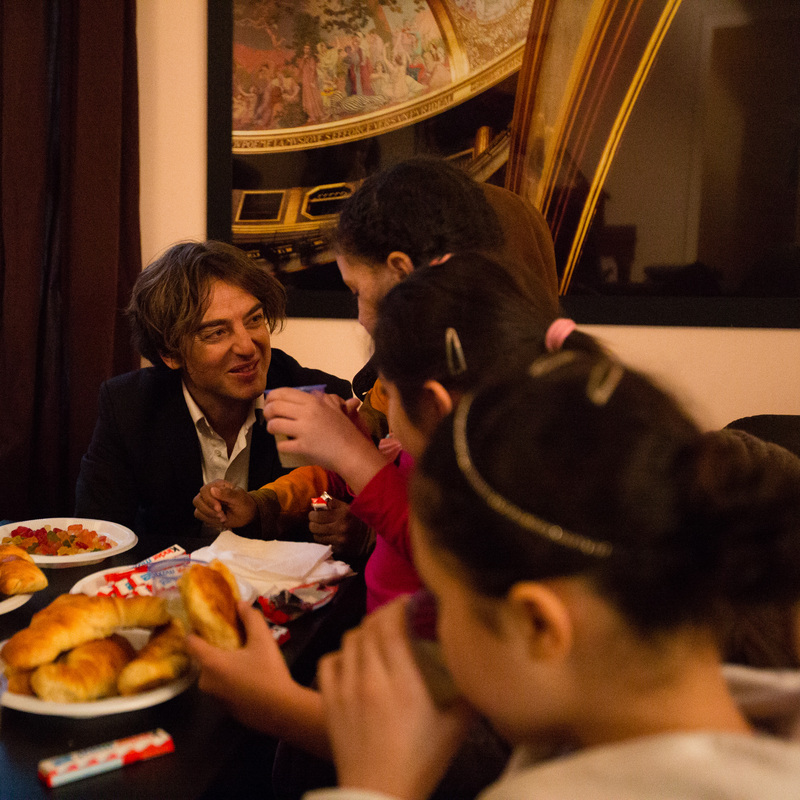 This programme offers a formative approach to classical music, the orchestra and its instruments to schoolchildren of all nationalities belonging to families or single mothers in situations of risk or social exclusion, who often lack guidelines. The music chosen for the programme is Mozart’s Symphony no.40, which seems appropriate for the public and the venues involved. The children will be able to follow the preparation of a concert and witness the culmination of the work as it achieves concrete form in performance.